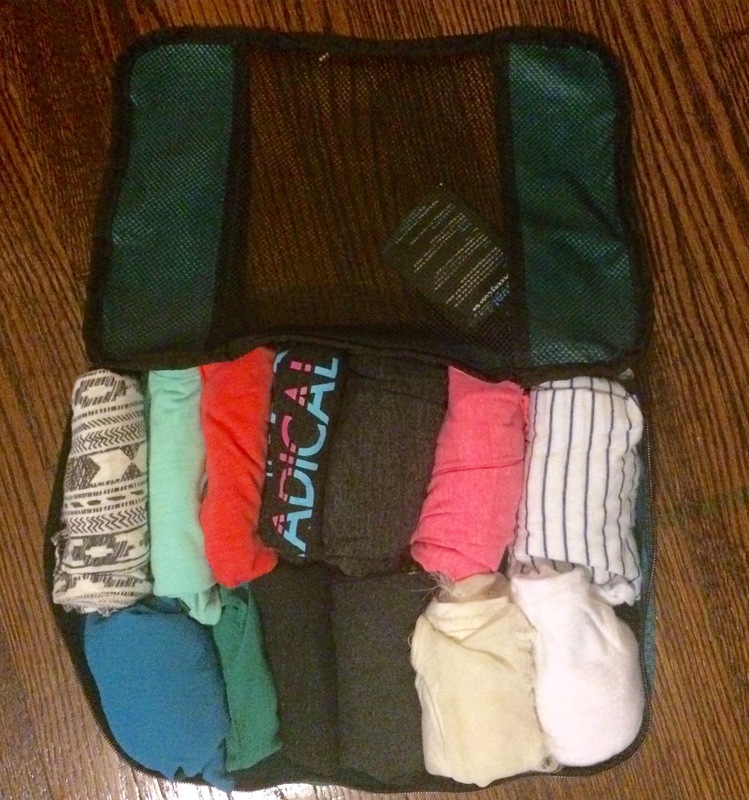 In prepping for my trip, I scoured a million blogs and articles about what to bring and pack. 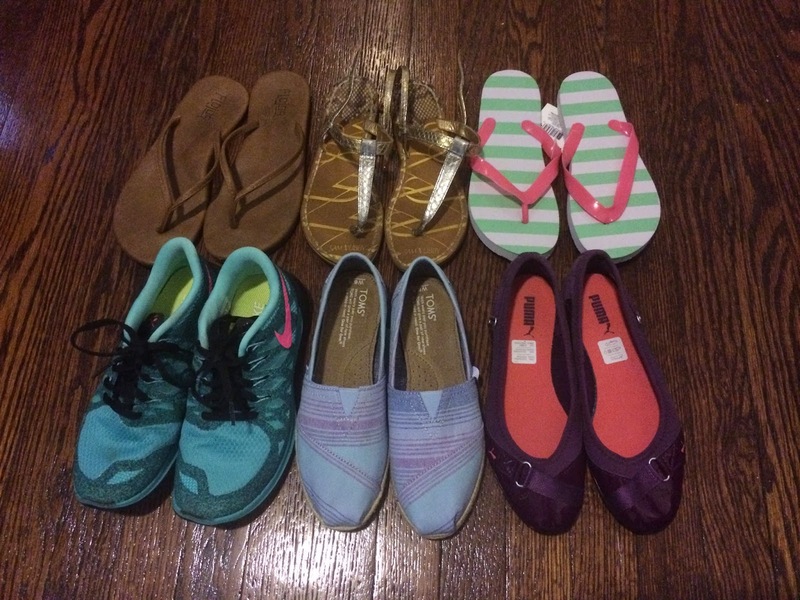 I love packing. 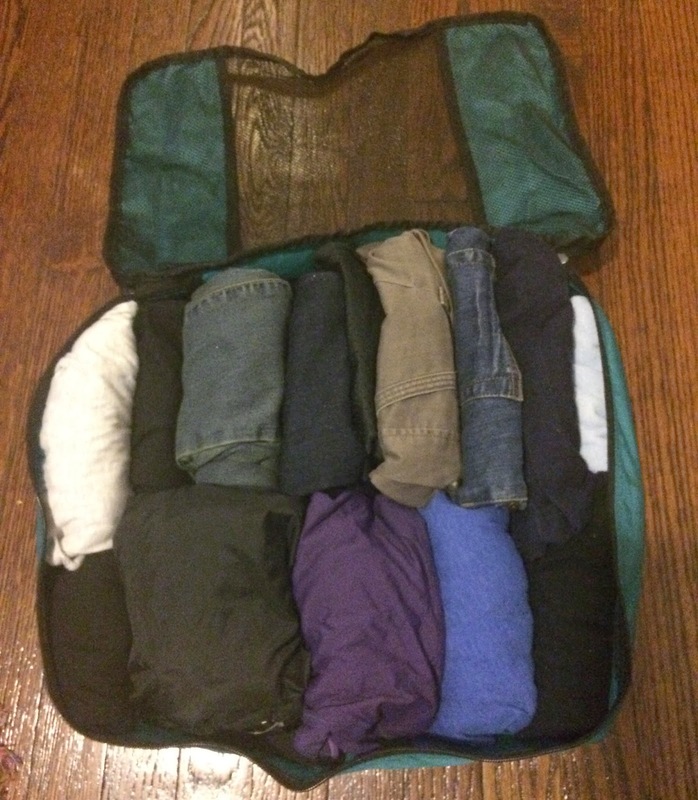 Something about organizing everything neatly into one bag just brings me joy. The best part was looking up fun travel "must-haves" (I use this term very, very loosely) - there are so many amazing, neat things out there! 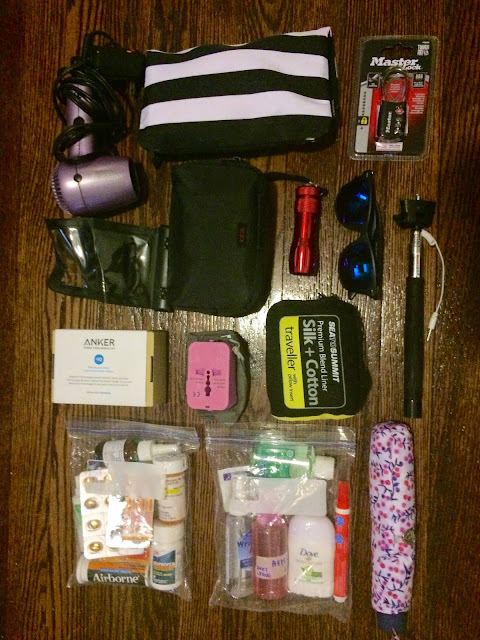 My next endeavor is to start a stylish, unique, yet practical travel products company. Like, how cute would it be to have a hiking backpack that looked like a sushi roll?? ...Anyone? ..Bueller? So without further ado, I thought it may be fun to detail my own packing list (especially since some of the solo female packing lists I saw were pretty spartan.....two pairs of shoes for a year?? NICE TRY). Ok, here we go. K-Cliffs 52L Internal Frame Backpack: I've had this thing since I purchased it for a post-college European trip for $35 on Amazon. It's a little smaller than most true backpacking bags (which usually range about 70L), and has lasted through like 5 separate trips from Europe to South America, and I love it with my whole heart (...except when having to carry it, of course). 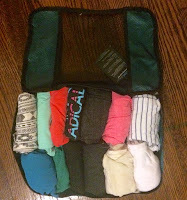 And the small packing cube holds undergarments (word choice courtesy of the year 1920), swimsuits, socks, and a scarf. I'm going to go ahead and assume a picture is probably not necessary here. As for the scarf, a lot of girls recommended bringing one - you can jazz up your outfits (this is not what they say, this is my own personal interpretation), and it's extremely useful in covering up your head, shoulders, etc. when visiting more religious sites. My co-worker Tiffancy dubbed my Puma flats (lower right corner) "Asian grandma shoes"
Makeup bag. Another tiny splurge, given most female travelers typically go with the "less is more" mentality here and seem to think a stick of eyeliner and some moisturizer is more than enough. No. Just no. Waterproof cover for iPhone. You can take iPhone photos underwater! Silk traveler sheets. Incredible for hostels, and look how tiny it folds up! It's the black/yellow pack. Also purchased on Amazon. Travel guides. 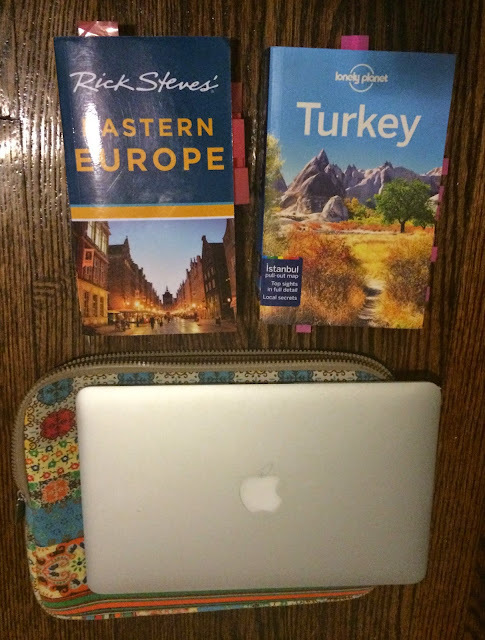 Here, I have Eastern Europe and Turkey, but I know I will inevitably amass more. Yes, these are ridic heavy and not ideal in the least for hauling around, but I live and die by these, and I can't follow the Kindle versions. I am going to plan on maybe having the friends who join me for certain legs bring them with them instead of carrying them all together, but still TBD on this dilemma. Travel insurance. I did a ton of research, and the most popular/best option with the greatest reviews is World Nomads. ATM card. This is how I plan on pulling out most of my currency. I also did a ton of research on this (surprise), and Charles Schwab offers a no-fee ATM card (seriously, no transaction fees, ATM fees, or foreign exchange fees) - only thing is you have to open a high-yield checking account that is tied to a brokerage account. But no minimum account balances! There are still some last-minute items that will probably end up getting added to the mix (I still need a travel purse, as well as a folder for all my documents, a small wallet, etc.) But for the most part, this is my packing list that I hope is useful to someone, someday, somewhere, maybe. Even if not useful, you can all see what will likely be the cause of any future back problems I may incur. Though honestly, the backpack is pretty manageable so far and still has some room for souvenirs!